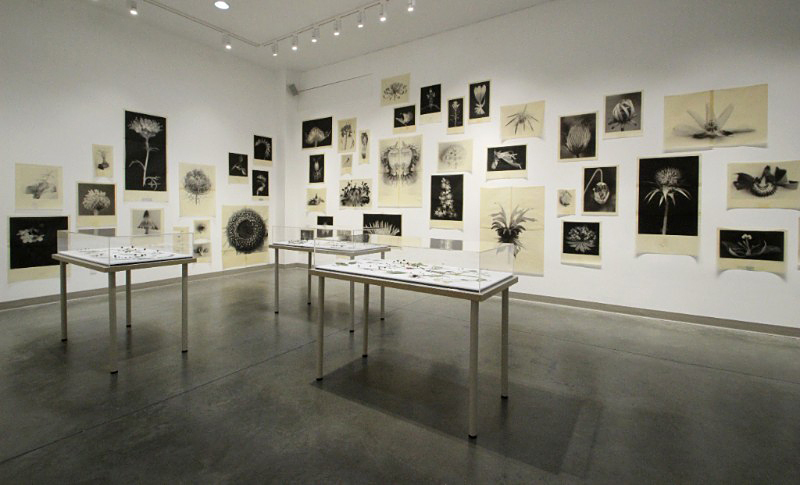 Installation shot, Pressed for Time, Seymour Art Gallery. 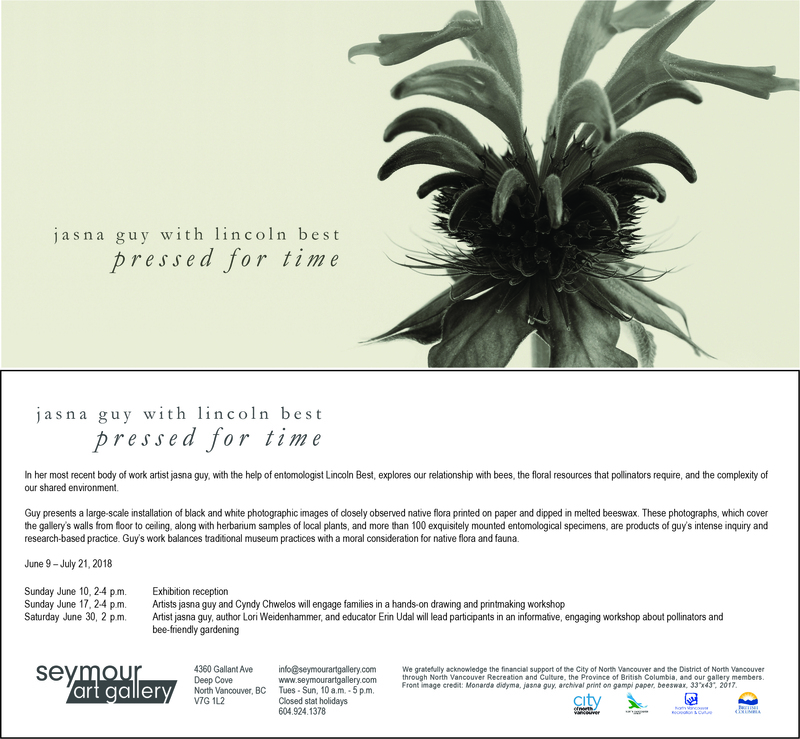 The exhibition I am sharing with entomologist and friend, Lincoln Best opened on Sunday at the Seymour Art Gallery in North Vancouver. We had a great time at the vernissage! Thank you to all of you who came out to see the show. Exhibition continues at the gallery until July 21, 2018. We are offering 2 workshops in tandem with this show–the first is on Sunday June 17, from 2-4 pm. A free drop-in drawing and printmaking workshop with artist Cyndy Chwelos, for participants of all ages. Everyone welcome!